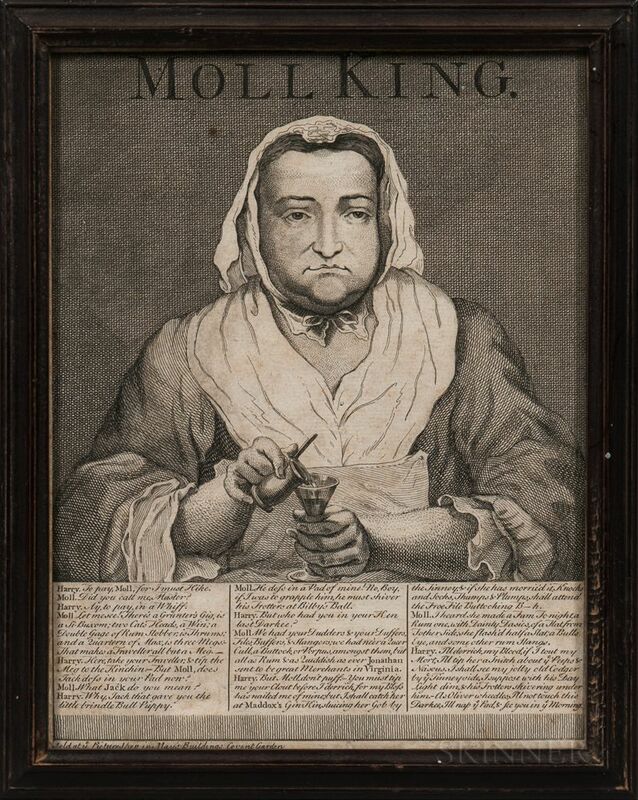 Moll King Sold at the Picture Shop in Maris Buildings Covent Garden, London, c. 1740, engraving depicting a stern-looking woman dressed in a gown pouring a drink from a small measure into a wine glass, above three columns of text, mounted in a reproduction frame by Perry Hopf, ht. 11 1/2, wd. 9 1/4 in. 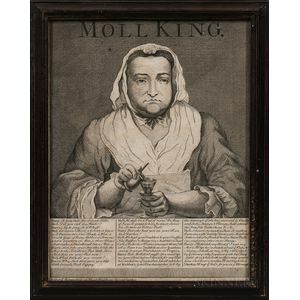 Note: Moll King, born Elizabeth Adkins (1696-1747), was a joint owner of the King's Coffeehouse in London with her husband Tom King. She was a well known figure in London tavern circles and allegely supported herself as a prostitue and theif. It is believed that Moll King was the inspiration for Daniel Defoe's character Moll Flanders.